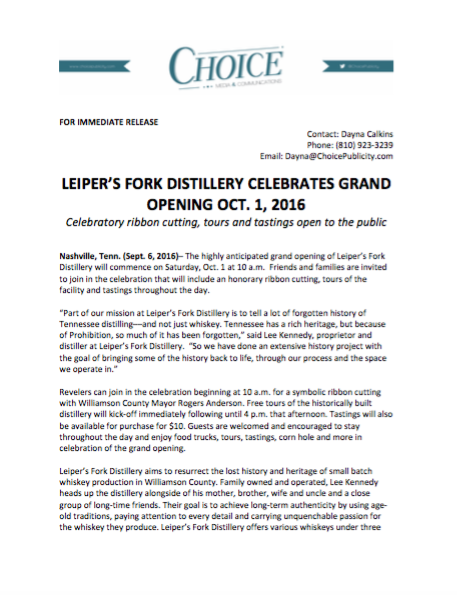 Leiper’s Fork Distillery is the Nashville-area’s newest craft distillery. 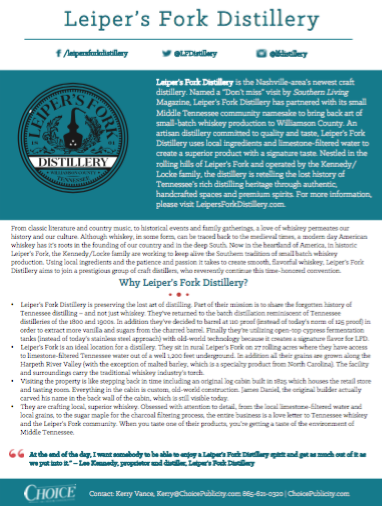 Named a “Don’t miss” visit by Southern Living Magazine, Leiper’s Fork Distillery has partnered with its small Middle Tennessee community namesake to bring back art of small-batch whiskey production to Williamson County. An artisan distillery committed to quality and taste, Leiper’s Fork Distillery uses local ingredients and limestone-filtered water to create a superior product with a signature taste. 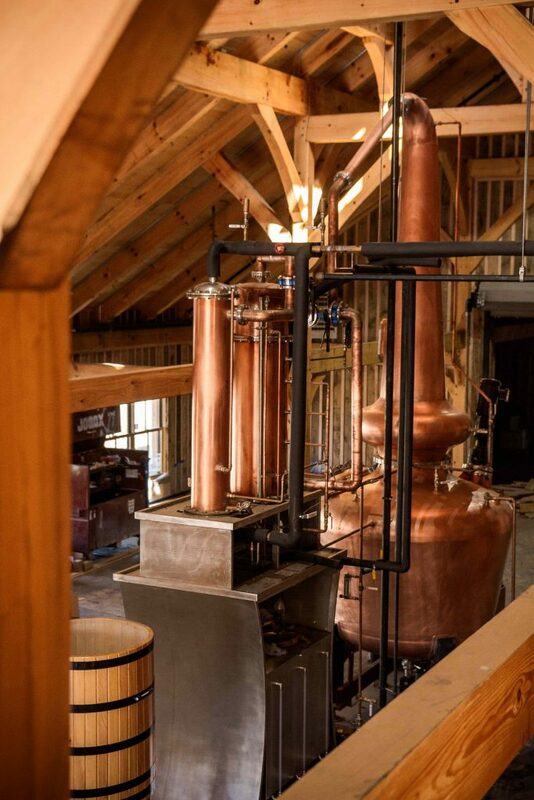 Nestled in the rolling hills of Leiper’s Fork and operated by the Kennedy/Locke family, the distillery is retelling the lost history of Tennessee’s rich distilling heritage through authentic, handcrafted spaces and premium spirits. 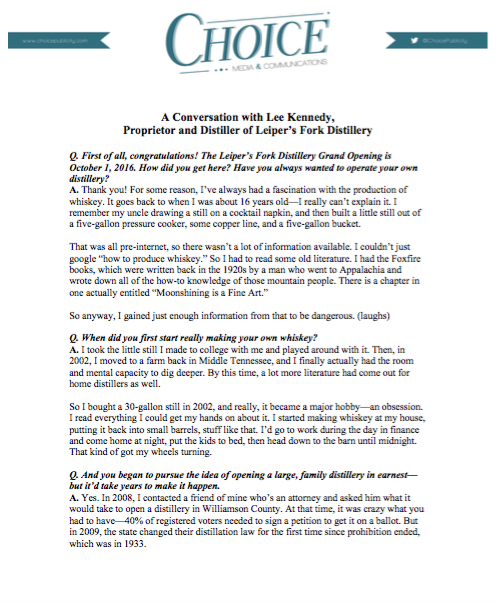 For more information, please visit LeipersForkDistillery.com.